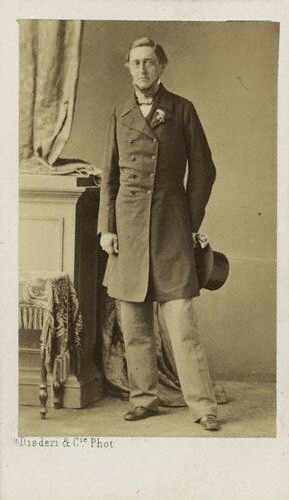 Sidney Herbert, 1st Baron Herbert of Lea. Portrait by Sir Francis Grant, 1847. He was educ Oriel College, Oxford, 1829-32 (where Rev. George Montgomery had previously been). He first went to Ireland to the family's new Irish estates in 1832 [Mount Merrion 300]. He spent much of his time in Mount Merrion or Wilton, while his half-brother the 12th Earl lived in Paris. His initials "S.H." were on the iron gates which kept intruders from the "fruit garden" or orchard at Mount Merrion. They were still in place on the gates in the mid 20th century [Mount Merrion 300]. The great wrought iron gates in the rosewalk originally came from the Fitzwilliam house at Richmond, see [Wilkinson, 1925]. He contributed to the founding of the Catholic Sisters of Mercy convent beside Booterstown church in 1838. He also contributed to the founding of Blackrock Catholic church 1842, see [Lyng, 2000]. He is remembered, along with the Duke of Leinster and others, as one of the few decent Irish landlords during the Famine. Secretary of State for War 1845-46 (under Sir Robert Peel). He mar 1846 to Elizabeth à Court-Repington [born 21 July 1822, see here]. In 1850 he built St.John's church (Church of Ireland), Sandymount, Co.Dublin. Secretary of State for War 1852-55. He started the Crimean War (1853-56). This was a war against the Russians, his mother's own people, and his mother and his uncle were alive to see it. He sent Florence Nightingale to the Crimea, and was a champion of her nursing reforms in the war hospitals. She was friend of the family. He was a founder Trustee of NPG 1856. 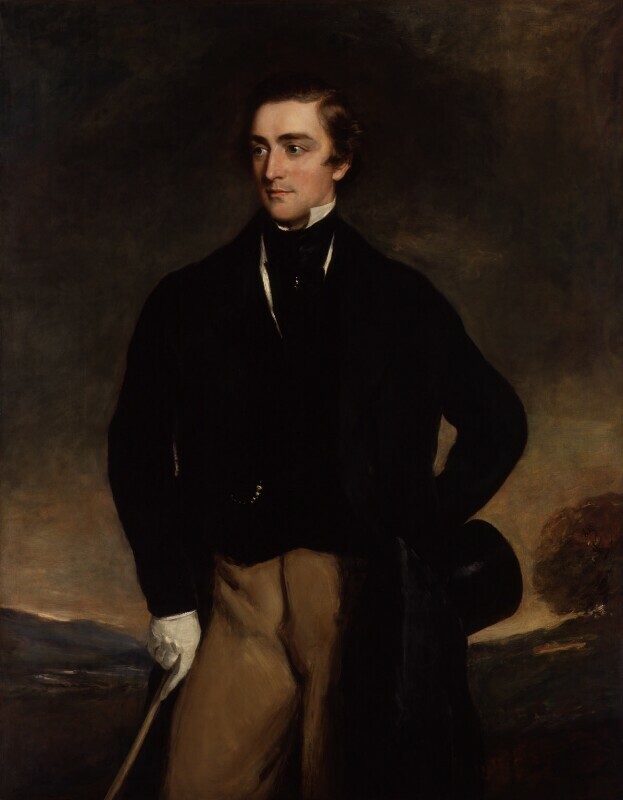 Secretary of State for War 1859-60 (under Viscount Palmerston). His 1st cousin's son Arthur Augustus Gibbon worked at War Office also. He instigated the building of St.Stephen's Parochial School, Northumberland Rd, Dublin (designed think 1856, opened 1861). This quaint building survives. He was cr Baron 15th Jan 1861. 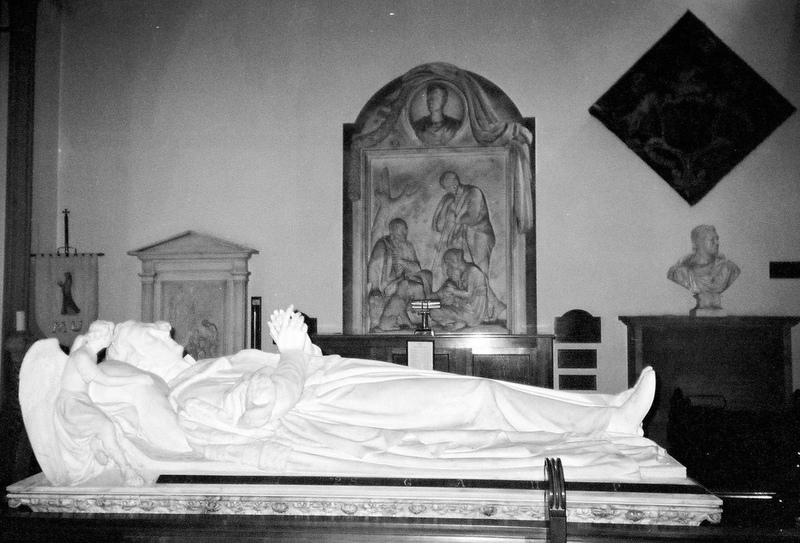 Elizabeth became a Catholic in 1866. She became a prominent English Catholic writer and philanthropist. She lived Herbert House, Belgrave Square, London. She out-lived her son the 13th Earl. Constance Herbert, mar St.George Henry Lowther, 4th Earl of Lonsdale and had issue. died 3rd May 1895, age 44 yrs. See pictures. Statue of him stands at gates of Wilton. 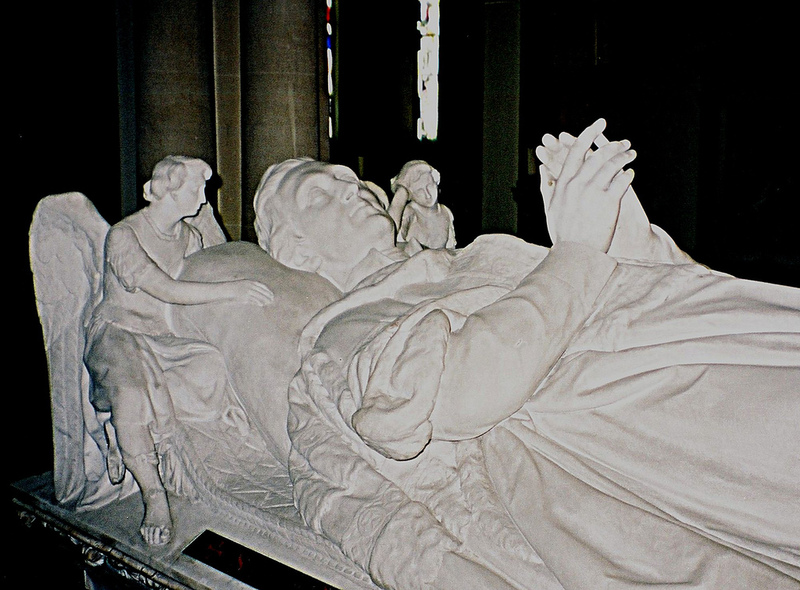 Gertrude died 30th Sept 1906. She left over £30,000 to the Dublin hospitals Holles St Hospital and the Royal City of Dublin Hospital, Upper Baggot St (near site of Baggotrath). There is a plaque to her just outside the operating theatre of Holles St Hospital. There is a plaque to her inside the door of the Royal City of Dublin Hospital. The Herbert arms are over the front entrance. Sidney Herbert, 14th Earl of Pembroke, born 20th Feb 1853. 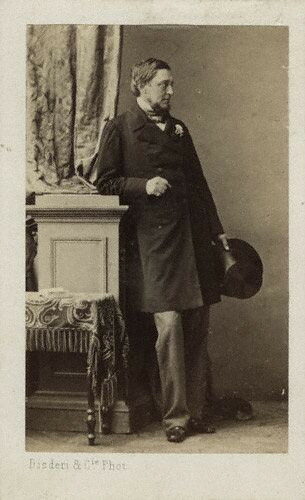 Sidney Herbert, 1st Baron Herbert of Lea, c.1860. 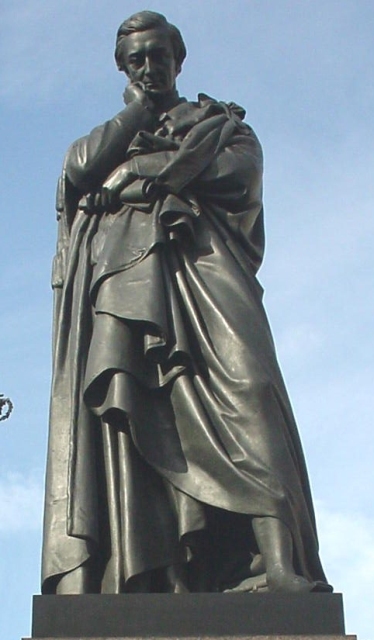 Statue of Sidney Herbert, 1st Baron Herbert of Lea, Waterloo Place, London. 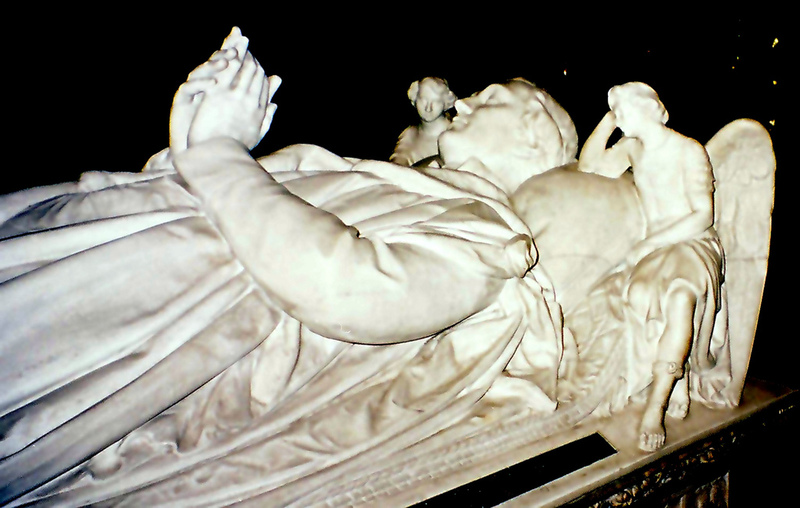 Tomb of 1st Baron Herbert of Lea, Wilton parish church. Photo 1999. See full size. See other shot and full size. From here. See wider shot and full size. From here. "Entrance to the Rose Walk" at Mount Merrion. 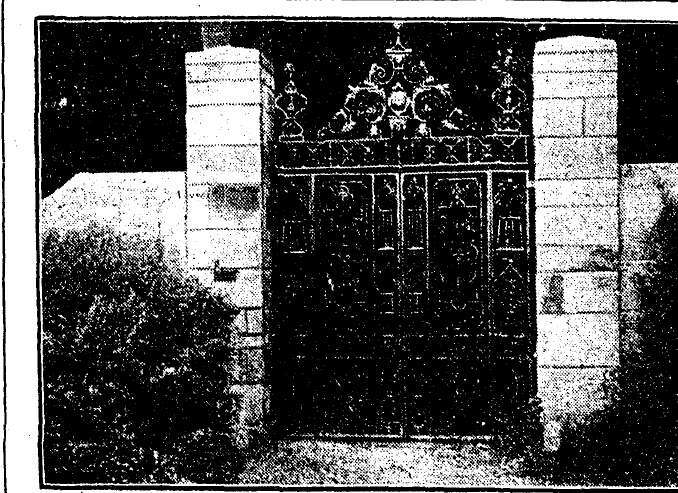 The garden gates at Mount Merrion. From Mount Merrion 300 exhibition. Used with permission. Statue of George Herbert, 13th Earl of Pembroke, at gates of Wilton. 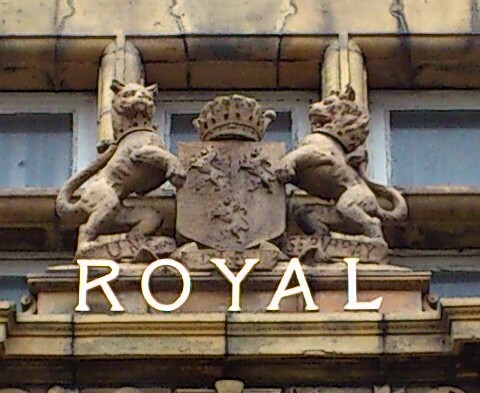 Herbert arms over the front entrance of Royal City of Dublin Hospital. Note Herbert motto "UNG JE SERVIRAI".